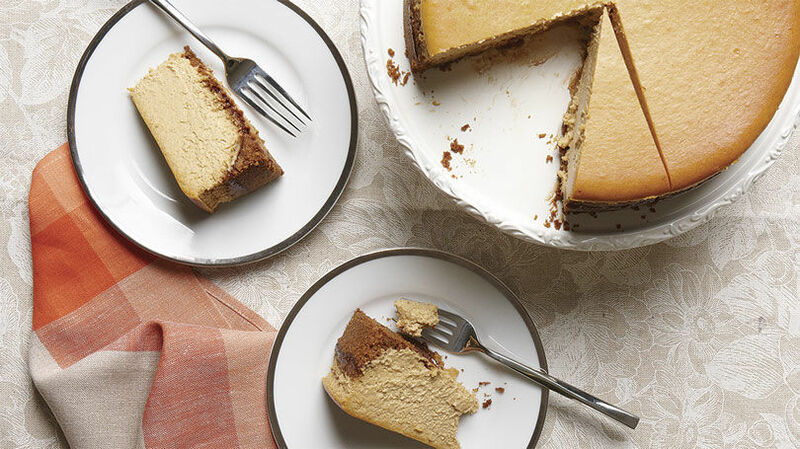 This cheesecake is a luxurious twist on the traditional Thanksgiving pumpkin pie. 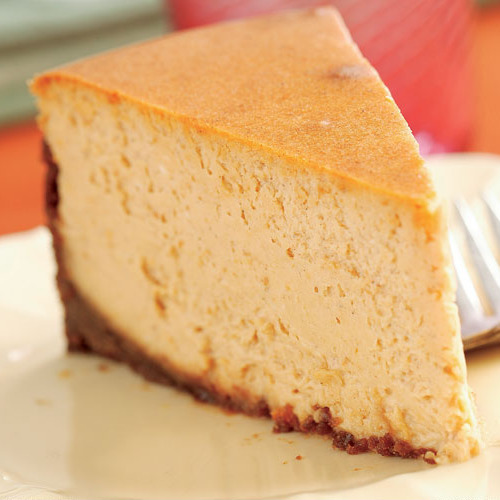 If you are looking for a heavy cheesecake, this is for you. Heavy, thunk, it lands in your gut.I have other recipes that incorporate sour cream or cottage cheese and find them to be fluffier with a more complex satisfaction. I also had a difficult time getting the crust off the bottom to serve. Did I miss where it says to spray the bottom with cooking spray? If you are brave enough to take the plunge with this one, you want to do that.FineCooking offers some of our favorite recipes, but this is definitely not one. Too much batter for my 10" pan. Made 10 cupcakes extra. I was wondering if these reviews are real. They have a made up quality about them. Especially the one from the person who ate the whole thing. Wouldn't that be fatal?